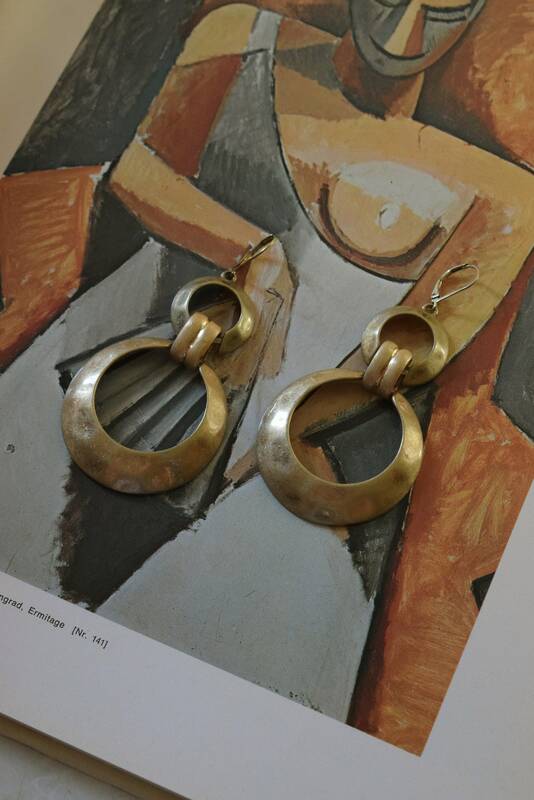 Vintage linked hoop earrings in a muted, antiqued, brass color metal. Lever hook and clasp closure. Please note these earrings are previously owned and have minimal signs of use/wear. Overall in great vintage condition. Earrings have been sanitized but posts have not been replaced. Earrings measure 5cm at the widest and 7cm in length.